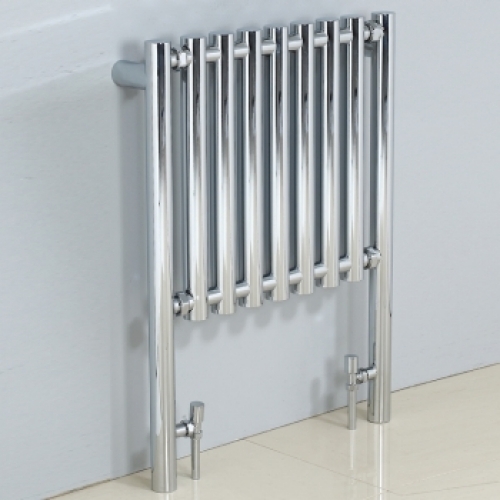 When you think of radiators you immediately think of the ugly radiator that sits in your bedroom or living room, but the designer radiators available for bathrooms are sleek, stylish and finished in polished chrome that not only blends in with your overall bathroom design, but finished off your bathroom design to perfection. There are a number of choices available and you can choose between wall or floor mounted options. The wall mounted options add a feature to your wall and save on floor space, while the floor mounted options are elegant and sophisticated and perfect for any bathroom design. This is my personal favourite when it comes to designer radiators for the bathroom area. These radiators are ultra-modern and wall mounted. They come in a range of sizes with vertical bars and rectangular straight edges, the perfect addition to any modern bathroom design. These bathroom designer radiators are a welcome addition to any bathroom design with their curved and horizontal bars offering a minimalistic finish to your overall design. The advantage to these wall mounted designer radiators is that they will not only warm the bathroom beautifully, but you can hang your towel on it while you shower or bath. The Trento designer radiator is an ultra-modern wall mounted radiator with horizontal bars with a modern straight edge which is guaranteed to enhance any bathroom space. Finished in polished chrome it blends in beautifully with your other bathroom products, finishing your picture perfect bathroom design. 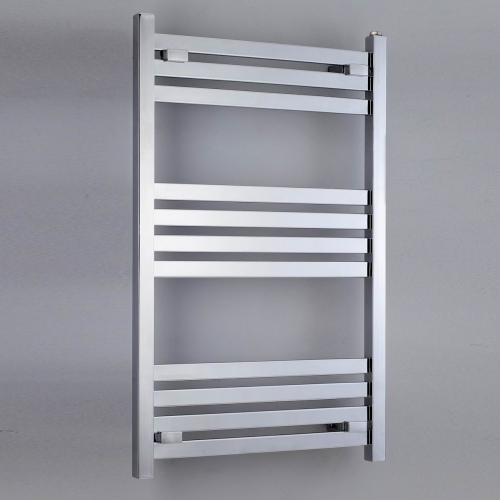 When it comes to designer radiators the Ascot Chrome Radiator is always a top choice with its horizontal straight edged bars which are narrow and a welcome addition to the minimalistic bathroom design. 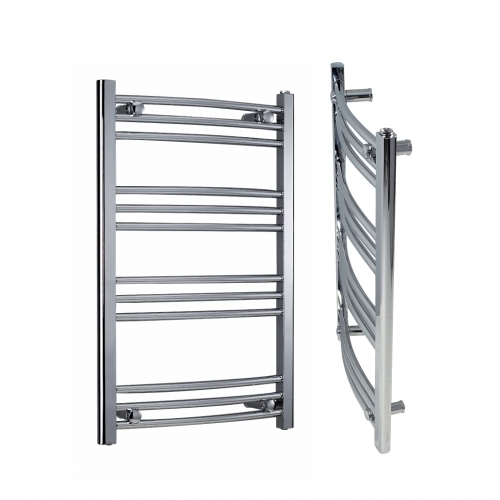 Also finished in polished chrome, these designer radiators make a statement on any bathroom wall. If you are restricted on wall space and are looking for designer radiators that you can mount to the floor there is no reason you should compromise on design and style. These designer radiators, finished in polished chrome are the perfect addition for the modern or traditional bathroom design. The Mia radiator comes with round bars to blend in with your overall design, while the Ava designer radiators come with straight edged vertical bars that enhances any modern bathroom space.